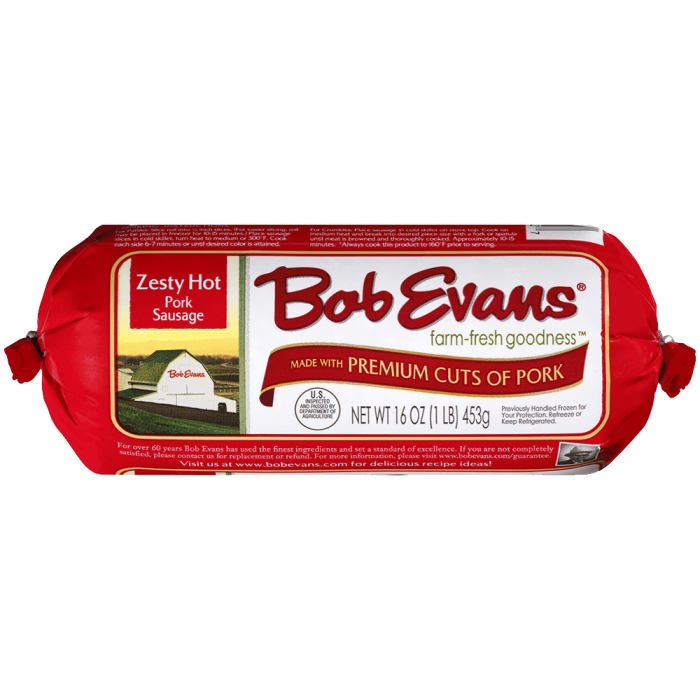 This quick and easy pizza is topped with Bob Evans Zesty Hot Sausage and mozzarella cheese. In a large skillet, cook and crumble sausage until brown. Remove from heat and drain. Place pizza crust on a large baking sheet. Combine tomato sauce, basil, and oregano. Spread tomato sauce evenly over pizza. 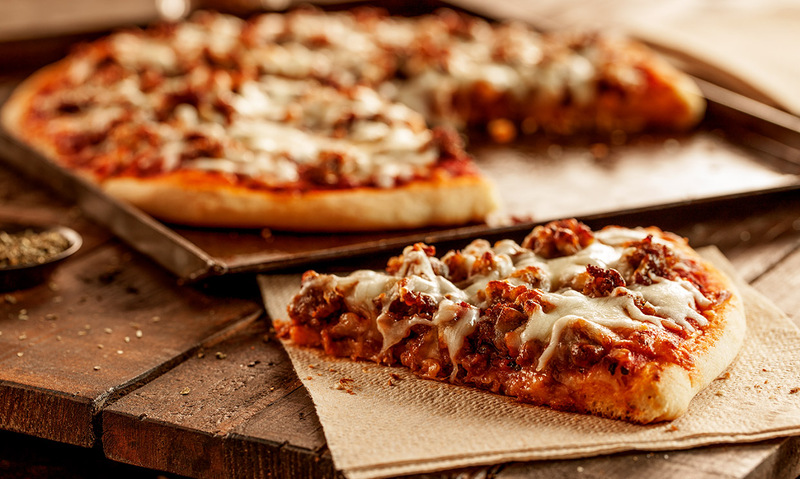 Sprinkle sausage evenly over tomato sauce and top with Mozzarella cheese. Bake 10-12 minutes or until cheese is melted and lightly golden. 2 In a large skillet, cook and crumble sausage until brown. Remove from heat and drain. 3 Place pizza crust on a large baking sheet. 4 Combine tomato sauce, basil, and oregano. Spread tomato sauce evenly over pizza. 5 Sprinkle sausage evenly over tomato sauce and top with Mozzarella cheese. 6 Bake 10-12 minutes or until cheese is melted and lightly golden. 7 Cut into wedges and serve.